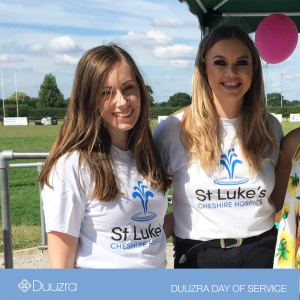 You may have seen on our social media that our team members have been partaking in various volunteer activities throughout their local communities. 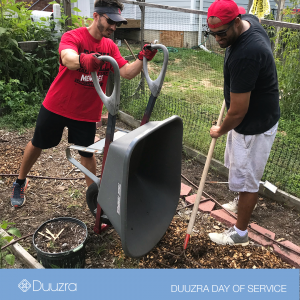 Let’s talk for a moment about giving back to one’s community and why at Duuzra we began the Duuzra Day of Service this time last year. In today’s technology driven society, it’s very easy to connect globally in ways the past never allowed. But, we often forget the impact we can have locally and how it’s extremely rewarding knowing that we can have a positive impact on those around us by volunteering our time. Knowing this, we feel it’s important to give back to our local communities. In case you missed it, we want to share what we’ve been up to! The Holly Springs Food Cupboard is a local community organization that empowers their residents, business owners, churches, and civic organizations by helping to feed families in need in the Holly Springs community. 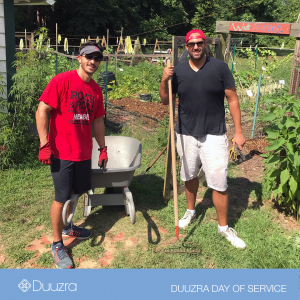 Our Raleigh based team spent the day doing a little bit of everything – helping with the garden area by spreading wood chips, tending to the trees and plants, weeding, and even painting areas of the building. Connect: For more information on the Holly Springs Food Cupboard, check out their website here and follow on social media @hscommunitygarden. 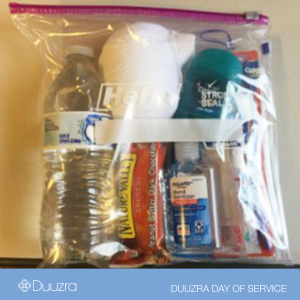 Our New Jersey based team chose to put together care packages for the homeless in crisis. 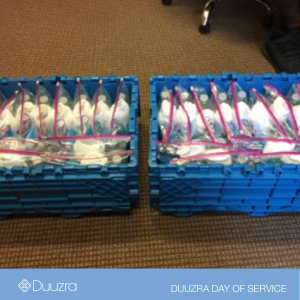 They spent the day purchasing and packaging items including water, snacks, dry socks, first aid items, and toiletries into kits for those in need. After doing some research on the homeless population in Newark, they are going to distribute to them there. Connect: For more information and ways to help the Newark community, visit Newark Cares. Our Salt Lake City team worked with SLC Parks and Public Lands to organize a clean up at Miller Park. 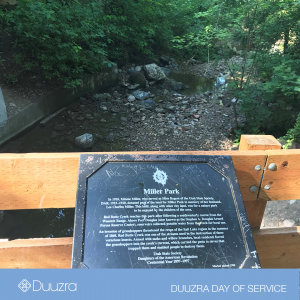 Miller park was recently reconstructed to bring the land back to a healthy ecosystem with natural function. Native vegetation was planted to attract more wildlife and allow for improved public access. 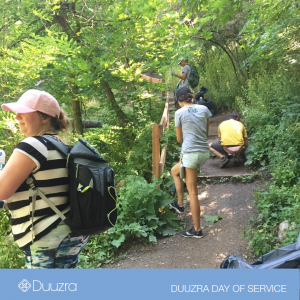 Our team spent the morning clearing the trails within the park of invasive species, as well as weeding and sweeping debris from the stairways, which date back to the 1930s! Connect: You can check out Salt Like City Parks and Public Lands @slcppl or at their website here. 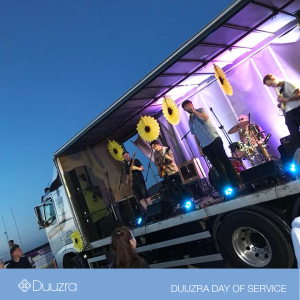 Our Duuzra UK team has collaborated with the Mustard Tree on several occasions since their 2017 day of service in their Ancoats warehouse hub and charity shop. The Mustard Tree is an established Manchester based charity who support those in poverty and facing homelessness. They provide people who are facing a hard time with opportunities through support and friendship, work opportunities and connections, healthcare, food, clothing, and much more. Our team has been involved with the Mustard tree at several of their soup kitchen evenings over the past months. The soup kitchen runs a few evenings each week and caters to dozens of people who live on the streets and it’s also an opportunity for them to learn about the other help and services that the charity can offer. Our UK office did a recent move and we donated our furniture to the Mustard Tree who used this for their new offices. One of our team members, Steph Hopwood, and a close friend organized Glastonlee to remember Lee Belsham. Glastonlee is a local music festival showcasing music from 17 different bands and artists. In addition to a day crammed with live music, there were also a variety of children’s attractions including fairground rides, face painting, a bounce castle, and appearances from popular children’s TV characters. Our very own head of design was responsible for the event art work which appeared throughout the area and on social media to promote the festival. Over 350 people were in attendance and a total of £4139 was raised in aid of St Lukes Hospice! We hope this leaves you inspired to go out and make a positive impact on your community. 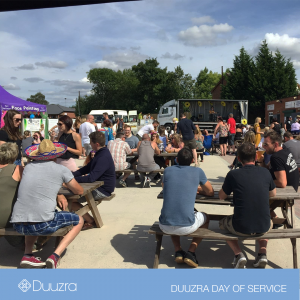 Stay tuned to hear about what our UK team will be doing for their Duuzra Day of Service next month!